The staff of the Open Space Authority are passionate about conservation and driven to make an impact in the community through their work. Everyone brings a unique skillset to their role and the creative collaboration of all staff maximizes talent to realize the Authority's mission. The staff is categorized by four distinct departments. Andrea is the Authority’s General Manager. She is passionate about preserving open space and connecting people to nature. For more than 25 years, Andrea has worked to preserve open space, farmland and wildlife habitat around the Bay Area by creating innovative plans, policies and public finance measures. In 2016, Bay Nature Magazine named her Local Conservation Hero. She serves on Advisory Boards for the Bay Area Open Space Council, San Francisco Bay Restoration Authority and SPUR San Jose. She is a past fellow of the National Conservation Leadership Institute and has a bachelor’s degree in Environmental Studies from UCSB and a master’s degree in Urban Planning from UCLA. Andrea loves to hike, backpack, kayak and travel with her family. 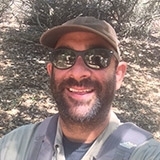 As the Assistant General Manager with the Authority, Matt oversees land acquisitions and leads a variety of strategic conservation planning projects including development of the Santa Clara Valley Greenprint, which serves as the agency’s guiding vision. 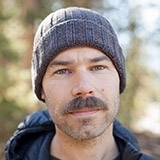 In this capacity, Matt pursues projects that closely engage partners in the protection and stewardship of landscapes that provide multiple environmental and social benefits. 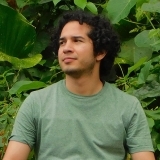 He has a BA in Environmental Studies from the University of California, Santa Cruz and a Master’s Degree in Community and Regional Planning from the University of Oregon. 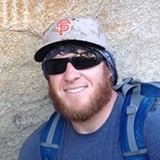 Matt lives in Santa Cruz with his family and can often be found on nearby trails or in his kayak on Monterey Bay. Serving as the Assistant General Manager, Administrative and Field Operations, Lea is a member of the Executive and Leadership Teams and oversees several functional groups that support the Authority’s daily operations, including accounting, human resources, information technology, facilities, office management, governance, and field operations. With more than 30 years of leadership experience, Lea ensures agency-wide operational excellence through highly collaborative cross-functional teams and continuous improvement. 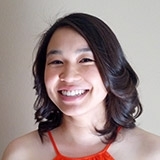 She has a Bachelor of Science degree in Accounting and minor in Cybernetics from San Jose State University and a certificate of Entrepreneurship from West Valley College. A San Jose native, Lea lives in Gilroy with her husband and two boxers Dude and Clyde. She enjoys the tranquility of soaking in the beauty of nature. Marc serves as the External Affairs Manager at the Authority and in that role, leads their Public Affairs Team. 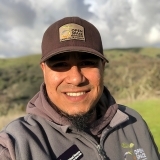 He has worked in the land conservation field for over 14 years, including three years at the Trust for Public Land and seven years at Peninsula Open Space Trust (POST). As Director of External Affairs at POST, Marc built a broad range of traditional and nontraditional partnerships and also played a strong leadership role in the passing of Measure AA and Measure Q. Prior to working in conservation, Marc was a Design Engineering Manager at Intel Corporation. Marc loves spending time with his family outdoors – hiking, biking and cross-country skiing. He is also an opera fan. As the Authority’s Field Operations Manager, Derek oversees the care of open space lands and their natural resources. His primary goal is to provide a seamless experience that gives visitors a sense of enjoyment and leaves them feeling fulfilled and refreshed. Derek has a Park Management degree from West Valley College and brings 16 years of hands on experience to his position. He also enjoys photography and backpacking across the wilderness like a gypsy. 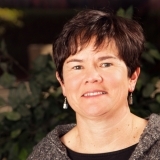 Serving as the Authority’s Planning Manager, Donna connects people to nature through land conservation, planning, and design. She manages a diverse and talented team of professionals who oversee programs in conservation and GIS, resource management, grant administration and management, and capital projects for public access and ecological restoration. 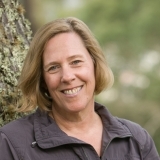 She is a California and New York licensed landscape architect with over 25 years of expertise specializing in land conservation, park/public land management, and related planning and design. 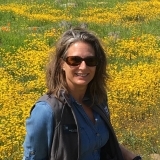 Prior to joining the Authority in 2016, she worked as a consultant on several Bay Area conservation projects including the South Bay Salt Ponds Restoration Project, several California State Parks Master Plans, and projects in Yosemite and Redwood National Parks. Donna enjoys cooking organic foods and adventures in nature, traveling to natural areas locally and worldwide. As the IT Technician, Adolpho supports the Authority's management information systems, provides technical support, and troubleshoots hardware, software, and network problems. Previous experience includes consulting with small businesses to help them create websites, develop branding, and integrating technology into their workflow. He is currently attending San Jose City College, working towards an Associate’s Degree in General Networking, and studying for Cisco certifications. Adolpho spends his free time tinkering with geeky gadgets and in virtual worlds. He also enjoys collecting plants and protecting them against his cats. Alisa is the Staff Accountant for the Open Space Authority. She is responsible for Accounts Payable, Accounts Receivable, and Payroll for the Authority. Alisa comes to the Authority with a B.S. in Business Administration from San Jose State University and 23 years of experience working in accounting. She enjoys spending time with family and friends in her free time. Alisha is the Communications Specialist in charge of managing the Authority’s collateral, social media, website, media relations, and email communications. As part of Public Affairs, she works closely with everyone to spread the word about outreach opportunities. In her tenure, Alisha has produced the Agency Brochure, launched the Authority's new website, and curated an Open Space Art Gallery at Google. 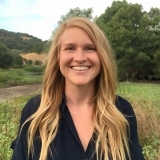 Alisha has a Marketing background from the Agriculture industry and studied Marketing at Cal Poly San Luis Obispo. On the weekends she enjoys hiking and watching movies. Andres is a Lead Open Space Technician, responsible for operating and maintaining all the Authority lands. His favorite tasks are building new trail systems and opening preserves, which fulfills his passion to leave a legacy of protected lands for future generations to appreciate. Andres enjoys visiting national parks and spends most of his free time watching his children play sports. Next time you're out on the trails there is a good chance you'll see him, so be sure to say hello! As a Lead Open Space Technician, Andy gets the opportunity to manage over 22,000 acres of open space with his dedicated and talented co-workers. Andy is a Bay Area native who knew at a very young age that he wanted to work in the golden hills of Santa Clara Valley! When he is not at work, Andy enjoys playing baseball on his travel team, fishing and BBQing as much as possible. GO GIANTS!!!!!! 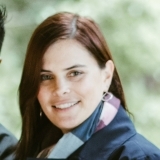 As Community Engagement Coordinator, Annamarie gets people connected and involved with the Authority's news, programs, and initiatives. A Northern California native, she fell in love with the Bay Area while studying at Santa Clara University, where she received her B.S. in Psychology and B.A. in Studio Art. Annamarie brings her years of experience working with community-focused organizations as well as her creative skills as an artist and designer. Her natural habitat is a sunny patch of grass with her sketchbook and some music. As the Office Assistant, Annelyse supports the Authority to ensure that day-to-day operations run smoothly. Her passion for people and inquisitive nature inspired her to study Sociology at San Jose State. After starting her administrative career in Family Law, she is excited for the opportunity to blend her professional experience with her love of the great outdoors in her role at the Authority. When not at work she enjoys staying active and getting outside as much as possible. You can catch her hitting the trails, camping, or spending time with her fur babies, friends, and family. Cliff is an Open Space Technician for the Authority. His tasks include, patrolling Authority lands, maintaining trails, and educating the public about the Authority’s mission. In 2016 Cliff attended the California Trails and Greenways Conference, where he represented the Authority in accepting a Merit award. He is currently in the Park Management program at West Valley College, and on his days off, Cliff enjoys cycling and day trips throughout California. Daniel is an Open Space Technician for the Authority. He gets to work with his hands, mind, and friends; to both help protect nature and make it inviting for people to experience. Daniel graduated from West Valley College with an Associate degree in science for Park Management. The classes taught him a profound respect for nature and changed the very way he sees the planet. It was his awakening to the truth of life and importance of its knowledge. The Earth is speaking, go out and listen. 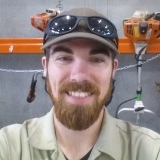 David is the Equipment Mechanic Operator helping to coordinate daily field operations related to project management and equipment usage and operation. 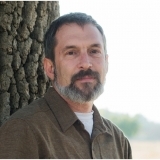 David was born and raised in Santa Clara County and has attended both the West Valley College Park Management and the De Anza Environmental Science Programs. These experiences helped fuel his desire to protect the remaining resources in the valley that he grew up in. When not at work he loves to explore nature with his family by going camping, fishing, hunting and dirt biking. As the Office and Human Resources Administrator, Elizabeth keeps the Authority’s operational systems running smoothly to ensure that the staff of the Agency can effectively advance the agency’s mission. When she joined the Authority in 2015, Elizabeth brought over a decade of experience in business operations, office management and human resources, working in the private and non-profit sectors. Born and raised locally, she holds a B.A. in English and Comparative Literature from San Jose State University and is a Society for Human Resources Management Certified Professional. Elizabeth enjoys the outdoors through kayaking, hiking, biking, and archery. Galli is the Resource Management Specialist and works on growing the Authority’s resource management program which protects and restores habitat and natural resources. She enjoys working closely with field staff, other agencies, and researchers to increase stewardship of natural resources on the Authority’s preserves. 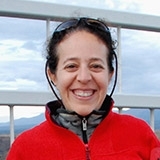 Galli previously worked as planner with Midpeninsula Regional Open Space District and the San Francisco Bay Area Water Trail. She holds a Master’s in Environmental Studies from SJSU and a Bachelor’s in Wildlife Conservation Biology from UC Davis. Galli enjoys exploring the Bay Area and spending time with her family. Gavin is values-based, mission-oriented, and impact-driven. 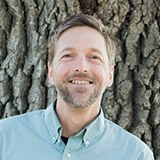 As the Volunteer Programs Administrator for the Authority, Gavin engages volunteers through shared passion for open spaces and the desire to awaken our connection to the landscapes we are lucky to call home. 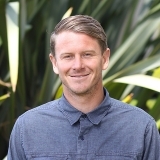 Previously, Gavin was the Operations Manager for Save The Waves Coalition, building relationships with other ocean activists to use surfing as a vehicle for coastal conservation on an international scale. He is a National Outdoor Leadership School (NOLS) grad, bird nerd, and can be found surfing the Santa Cruz coast with his dog Odie anytime he is not in the office. As the Authority’s Conservation GIS Coordinator, Jake is involved in a range of strategic planning and land conservation projects. 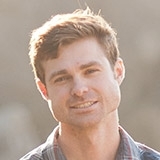 Coordinating the Authority’s Conservation GIS Program, Jake supports the Planning Department’s long-range planning, land acquisition strategy, watershed restoration design, and land use modelling and analysis. 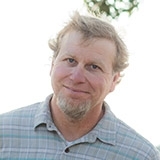 Jake has helped develop the Authority’s 30-year strategic plan, The Santa Clara Valley Greenprint and co-authored Healthy Lands & Healthy Economies: Nature’s Value in Santa Clara County. He holds a B.S. in Environmental Management and Protection and a M.S. in Coastal and Watershed Science & Policy. Jake enjoys Piña Coladas and getting caught in the rain. As a Planning Technician, Jennifer assists with mapping, data analysis, and environmental review. She also provides support in design and reporting for planning and capital improvement projects. She has experience in conservation management and strategic planning for land trusts in Washington and California. Jennifer has a B.A. in Urban and Environmental Policy from The Evergreen State College. She came to the Authority from Cal Poly, San Luis Obispo with a dual Master’s in City & Regional Planning and Public Policy. Jennifer enjoys wandering the sunny oak savanna landscapes, beaches, and redwoods of Central California with her dog, Lucy. Jessica is an Open Space Aid with the Authority. She has a BA in Liberal Studies with an emphasis in Holistic Health from San Francisco State University. 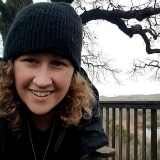 Born and raised in the Santa Clara Valley, she loves exploring the trails and seeks to help people find joy outside to foster their connection with nature. She enjoys hiking, camping, backpacking, and any activity that brings her outdoors. Joelle is the Executive Assistant to General Manager, Andrea Mackenzie. 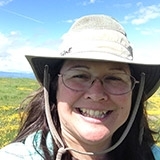 She supports all departments at the Authority with numerous projects, including accomplishing the processing for closing on the Open Space Authority’s most important acquisition to date, Coyote Ridge Open Space Preserve. 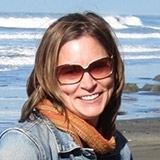 Joelle holds a dual bachelor’s degree in Legal Studies and Sociology from UC Santa Cruz. In her free time, she is dedicated to helping animals, including her menagerie at home. 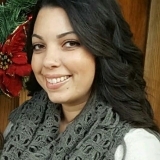 Justina is the Accounting and Financial Analyst, overseeing the Authority's general accounting activities, including accounts payable, accounts receivable, general ledger, budget, and cash flow. As part of the Administration and Finance Department, she aims to support and take care of the everything else so that her colleagues can focus on the Authority’s missions and goals. 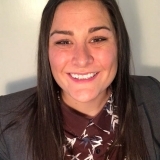 Justina has a Master’s in Business Administration and studied Finance and Management Information Systems at Santa Clara University. While she does not believe this to be true, her colleagues think she is obsessed with Fitbit steps. Unfortunately, her weeknight walks and weekend hikes say otherwise. Kellie is the Clerk of the Board, responsible for the Authority’s Board business, official documents and elections. Kellie recently coordinated the Authority’s 2016 award of a District Transparency Certificate of Excellence from the Special District Leadership Foundation. 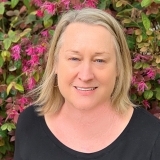 She started with the Authority in 2011, and has previous experience in Grants, Contracts and Program Management, working with Resource Conservation Districts, the Santa Clara County FireSafe Council, the County of San Benito and California State University at Monterey Bay. 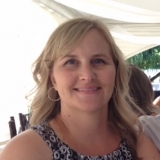 Kellie holds a Bachelor of Science Degree in Business Management, and is a Notary Public. In their “spare” time, she and her husband enjoy raising their two beautiful granddaughters. As Real Property Specialist, Linda works on property transactions to advance land conservation in our region. She evaluates and negotiates land acquisitions and conservation easements. She also oversees the conservation easement monitoring program. Prior to the Authority, Linda worked on land transactions at Peninsula Open Space Trust (POST). She has a Master of Environmental Science and Management from UC Santa Barbara and a B.A. in Integrative Biology from UC Berkeley. She has been with the Authority since November 2015. In her spare time, she loves to cook and go on outings with her dog Hazel. Megan manages the Authority’s two urban open space grant programs, which fund local projects such as trails, parks, and community gardens. She also coordinates grants the Authority receives that support the agency’s land acquisition, stewardship, planning, and other work. Megan joined the Authority in January 2016 after several years managing operations at local environmental nonprofits. She has a Master’s in Landscape Architecture from Cal Poly Pomona, where she focused on environmental planning and green infrastructure. She spends her free time exploring the Bay Area with her dog Trixie. As the Supervising Open Space Technician, Megan coordinates daily field operations, projects and staff. Born and raised in Santa Clara County and with deep family roots in the Valley, Megan knew she wanted to work for an agency that helps to protect the area she grew up in. 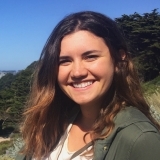 Through a Park Management Internship at West Valley College, Megan started with the Open Space Authority as an Open Space Technician in 2005. When not at work she loves to explore nature with her family by going camping, fishing, horseback riding, and dirt biking. 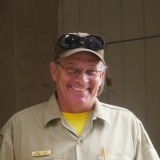 As an Open Space Aide for the Authority, Michael's duties include maintaining the Aquila Trail, patrolling Alum Rock Falls, and closing Sierra Vista Open Space Preserve and staging area. His passion for the preservation and restoration of open space motivates his work with the Authority. Michael also has a background in Fire Life Safety. His favorite activities are hiking, biking, and exploring Santa Clara Valley trails with his dog. Nisha is the Administrative Assistant for the Administrative and Finance Team. She provides a variety of responsible office, administrative, secretarial and clerical support. Nisha has streamlined and improved numerous processes and procedures. Nisha has an administrative background from the Outdoor and Lifestyle industry. She graduated from San Jose State University with a B.A. in Design Studies and Advertising. In her free time, she enjoys spending time with her family and getting outdoors. Patrick is an Open Space Technician at the Authority. As part of the land management team, he works to preserve and maintain the Authority’s lands. 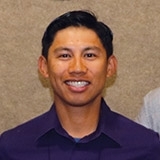 Patrick has a BFA from San Jose State University and is also a graduate of West Valley College's Park Management program. In his time off, Patrick likes to backpack and trout fish in the Sierra Nevada high country. As the Educational Programs Coordinator, Teri oversees the Authority's docent and educational programming. This includes managing educational partnerships and coordinating public hikes and presentations, astronomy programs, and other educational opportunities for our community and youth. 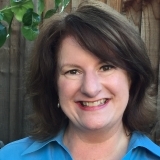 Teri has a background in park interpretation and environmental education from California State Parks, Santa Clara County Parks, San Jose City Parks, and the Youth Science Institute. She has also been faculty for West Valley College's Park Management Program and is currently adjunct faculty teaching Interpretation at San Jose State University. Her personal passion is creating inclusive nature experiences for people with disabilities. In her free time, Teri likes to write fiction and spend time observing wildlife.